The ITW GSE 5400 gasoline-powered GPU is the first of its kind to run at variable speed which helps noise during operation and minimizes wear and tear. It also helps reduce NOx and other emissions at the airport. 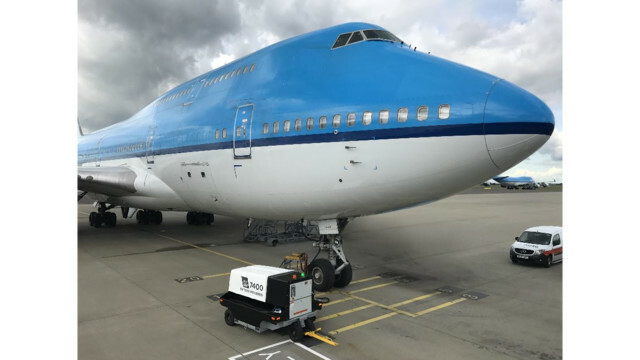 As a leading supplier of GPUs to the aviation industry, ITW GSE is committed to developing the cleanest, most reliable and most cost-efficient ground support equipment available. Now, they have taken the lead once more with the ITW GSE 5400—a gasoline-powered alternative to diesel-driven GPUs. ITW GSE has brought more innovative products to the market than any other supplier of ground support equipment and accessories.